Not only have the new shutdown rules made the problem worse, the Centre also refuses to elaborate on the appropriate stakeholder consultations it insists that were carried out. Internet shutdowns are when whole districts and regions in India suffer complete online blackouts, most often with access to wireless connectivity shut down or disrupted by government order. By most accounts, India has the highest number of them globally for two years running. A shameful statistic that is shocking but true. They damage individual rights, social relations, economic growth. As per pure numbers put together by think-tank ICRIER, the 16,315 hours of Internet shutdowns in India cost our economy approximately $3.04 billion during the period 2012 to 2017. Not only are such measures disproportionate deprivations of freedom of speech and expression, they are also being increasingly becoming a normalised tool of administrative control. They are now enforced for trifles such as festival processions, to prevent cheating in exams, during protests against district officials, and for visits by political functionaries. There seems to be no clear legal standard, transparency and disclosure how the Internet is being disrupted in India. This is a worrying trend for the world’s largest democracy. Our recent correspondence with government and subsequent Right to Information (RTI) documentation, laid out below, shows that we are failing to protect our civil liberties both in process and in substance. Fresh details are being made public that clearly demonstrate how visions of ‘Digital India’ are being shrouded in a cloak of authoritarianism and secrecy. Noticing the rising tide of shutdowns in 2017, the Internet Freedom Foundation launched the “Keep us Online” online signature campaign.This petition gathered signups from more than 16,000 people and 100 organizations. We pressed for three clear demands from government that would have opened up legal reform with regard to Internet shutdowns while ensuring an open conversation that would have drawn in academics, technologists, constitutional and free speech experts. A few developments occurred after this campaign and the growing awareness spurred by increasing media reports and research by several digital rights organizations (SFLC.in, CCG, CIS, DEF, Internet Democracy Project), many of whom were also part of an international coalition of partners under the #KeepItOn network formed by Access Now. Firstly, Internet shutdowns were earlier implemented under Section 144 of the Code of Criminal Procedure. This was a law designed to prevent unlawful assemblies which also permitted confiscation and mandated use of private property. In August, 2017 the Centre formulated the “Temporary Suspension of Telecom Services (Public Emergency or Public Safety) Rules, 2017” (referred to as the “Shutdown Rules, 2017”) which now specifically provided for a legal mechanism for disrupting Internet access. Even though we now had a specific law, which was earlier absent, we voiced our fears that this law would not improve the situation and could even lead to a greater number and frequency of the Internet being shut down in India. Many of these fears came to be realized in subsequent months. News reports continued to highlight that now both Section 144 and the Shutdown Rules, 2017 were being used concurrently across the country. Instead of one legal tool, there are now two. The Internet started being cut off in more parts of the country with higher frequency. Many were through orders which were not properly disclosed and the only source of data of the number of shutdowns remained the media and press, indicating an under-reporting and crippling analysis, data driven analysis and the full magnitude of this problem. At the same time on at least five occasions, questions were asked in Parliament on the number and reasons for Internet shutdowns. These were raised by Ahamed Hassan, C.P. Narayanan, Husain Dalwai, Kapil Sibal and Rajeev Chandrasekhar. The replies to them were at best evasive, many indicating over a period of months that the Centre was in the process of compiling the number and reasons for these Internet blackouts. In some replies, they even admitted the absence of any record-keeping process that would collect such data. Such secrecy is symptomatic of India’s shutdown problem. It is also an anathema to a constitutional democracy. As 2018 progressed, things didn’t get better. Trackers based off media reports showed that if the Shutdown Rules, 2017 were having any effect on Internet bans, it was only in making them grow in frequency. Constrained by the lack of movement for reform, on April 22, 2018 we sent a petition to several government ministries and the Prime Minister’s Office (PMO). On May 09, 2018 the IT ministry said that the issue was within the jurisdiction of the Department of Telecom (DoT), and similarly our petition from the PMO was transferred to the DoT on April 24, 2018. At this point we were cautiously optimistic and hoped for a substantive response from the DOT. Firstly, it did not respond to our substantive demands, furnish any data or meaningful information besides stating, “these rules have been formulated after due consultation with appropriate stakeholders”. Two, there were repeated references to “security” almost chanted like a mantra, without explanation or reasoning to reject our petition. It stated that, “the other additional issues raised in your reference, such as, increasing number of internet shutdowns, procedures not being followed by State Governments, public inconvenience due to such shutdowns, etc. had already been duly considered while formulating the rules referred above and the consensus being that Security and Safety of the Citizens and the State are paramount and cannot be compromised in any circumstances”. While the rejection of the petition was disappointing and something which we will keep advocating for, we also became curious. Who were these “appropriate stakeholders”? How were our concerns, “already… considered while formulating the rules above… [for a] consensus”? To best of our knowledge there was no public consultation on these rules despite the high level of public interest in this issue. Furthermore, the Shutdown Rules, 2017 were notified quietly in the official gazette without any press release or official update as has become a standard practice by various ministries of the Central Government. Due to the DoT’s cryptic denial. we sought more information as the reasoning for rejection primarily relied on the process of formation of the Shutdown Rules, 2017. These rules are a species of law – specifically being delegated legislation made under the Telegraph Act – and all materials which went into their promulgation would ordinarily fall within the public domain. On June 28, 2018 we filed a RTI request requesting for information on the process for formulation and stakeholder consultations on the Shutdown Rules, 2017. We received a prompt denial on July 02, 2018. The denial was premised on an incorrect reading of Section 8(1)(i) of the RTI Act that actually enables disclosures rather than restricting them. It showed a complete non-application of mind, which is especially worrying as the information sought had to do with the formulation of a law that impacts our freedom of speech and expression. Yesterday we filed a first appeal against this decision. 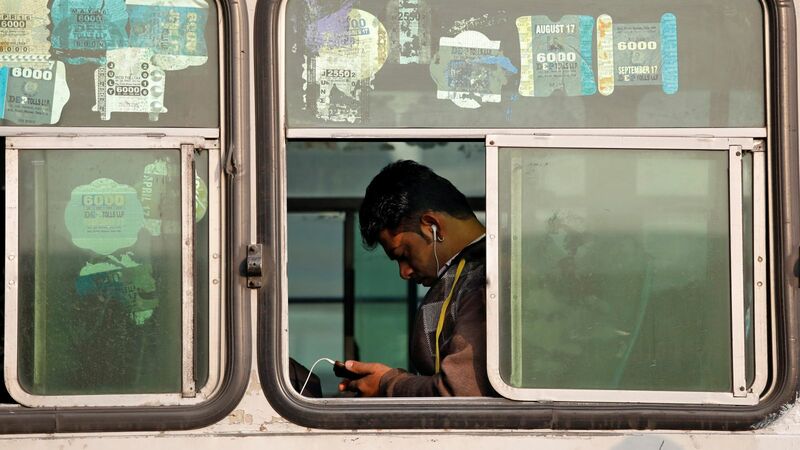 We continue to hope for reform and advocate for greater transparency to maintain the free and open Internet in India. In many ways, with the second highest number of Internet users in the world, we are going to be setting the template for digital rights around the world. We must shoulder this responsibility with greater respect for democratic processes that promote transparency and protect fundamental rights, importantly our freedom of speech and expression. Apar Gupta, is a practising lawyer who serves as a volunteer trustee at the Internet Freedom Foundation. In 2016 he argued the Gaurav Sureshbhai Case special leave petition in which the Supreme Court of India refused to issue notice to reconsider a Gujarat High Court decision on internet shutdowns.